Happy New Year from Bath Ramblings – don’t forget to sign up to get an email when a new route is published. 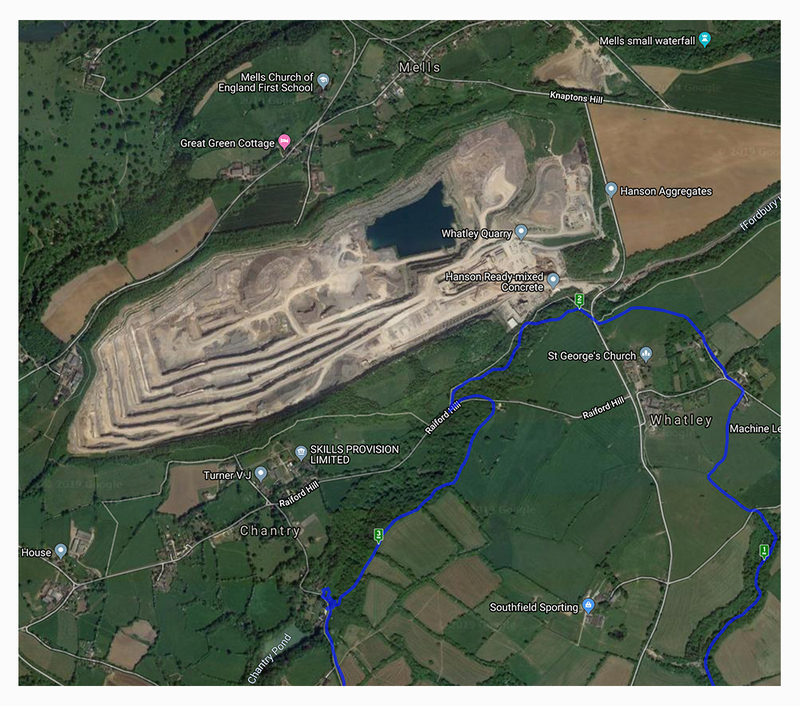 There are lots of exciting walks planned for 2019. 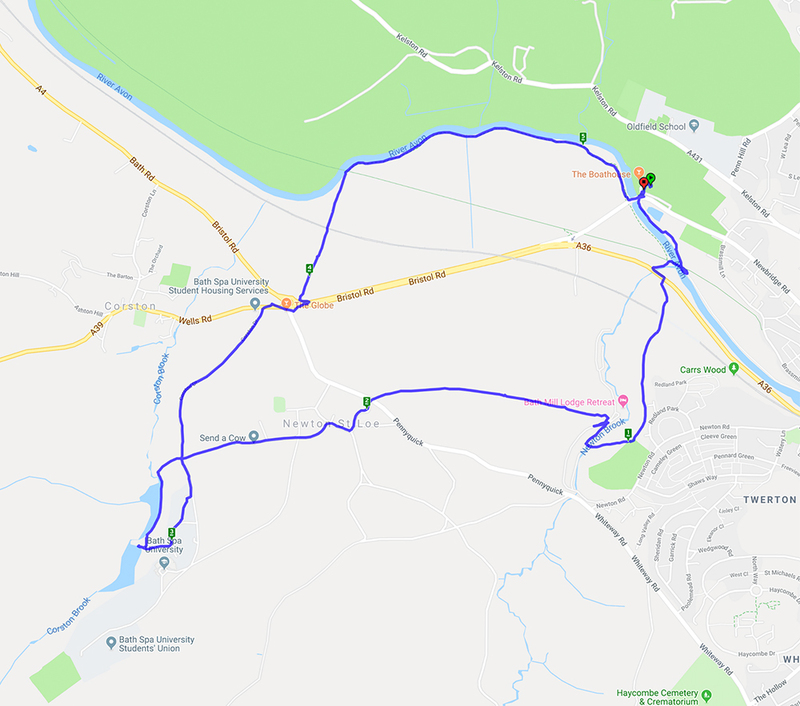 A nearly 6 mile walk starting and ending at the Ring O Bells pub in Hinton Blewett. 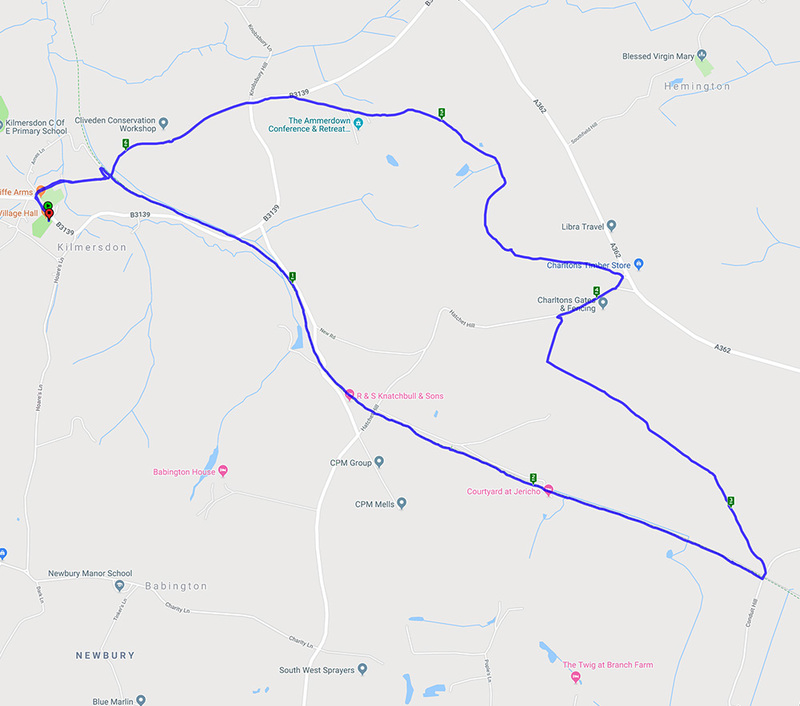 This circular walk started in Hinton Blewett on a gloriously warm morning. The fields were brown and the mud had solidified which made for interesting walking. 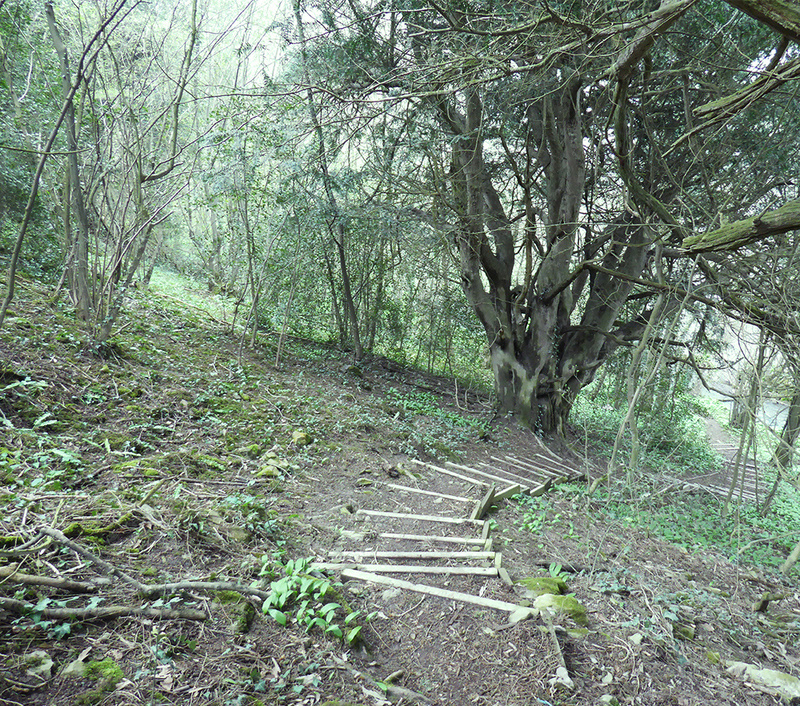 Fortunately there were also some shady lanes and wooded paths. 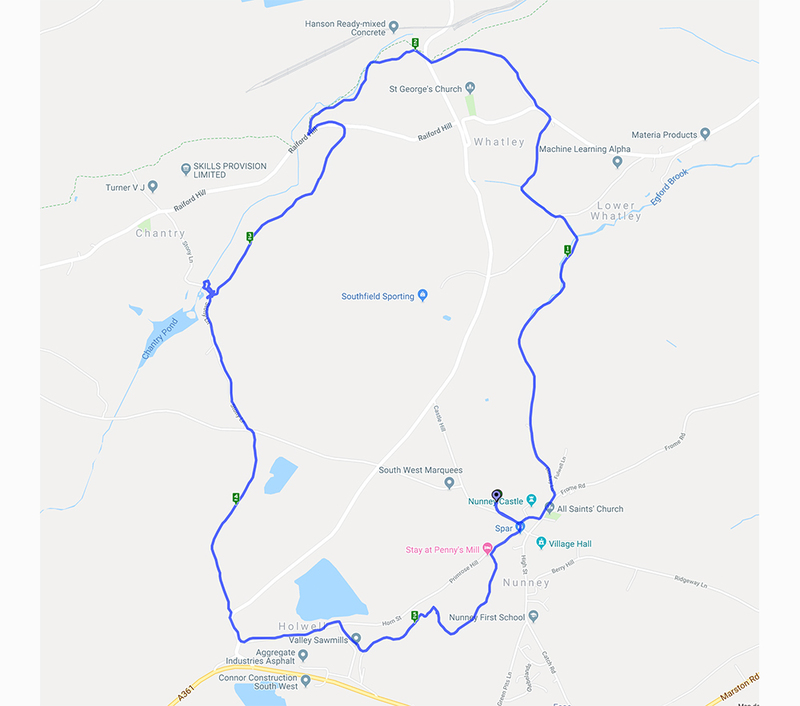 The walk went through the lovely little village of Litton where the reservoirs provided a good lunch stop and the opportunity to watch the birds on the water. 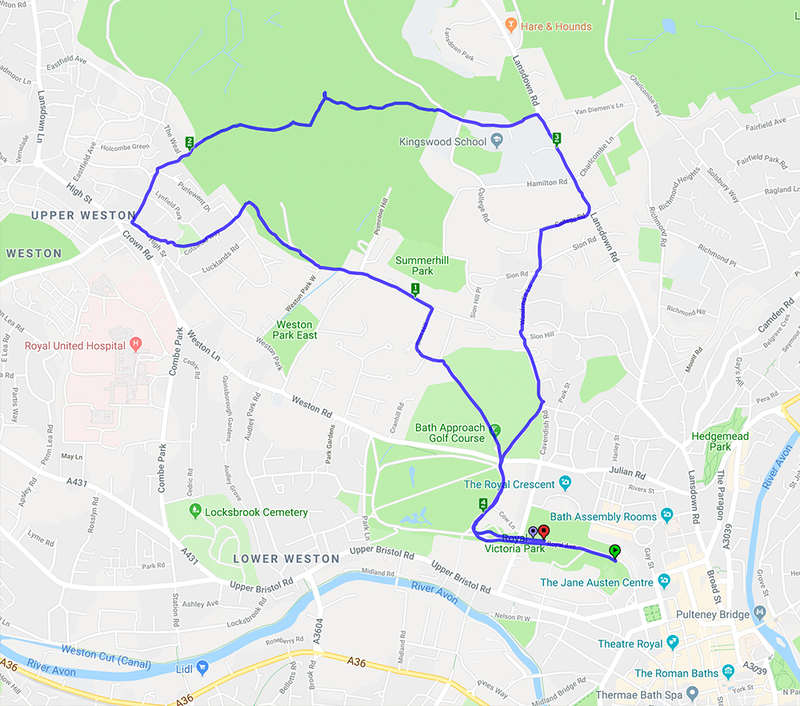 This 4.2 mile circular walk started from Victoria Park and slowly ascended to Weston village and onwards and upwards to Primrose Hill for a well earned lunch break. A glorious day for a walk with clear blue skies, warm sunshine and wondeful views across the city. This is a walk we have done before here and here. It’s 5 miles with lots of hills (and views on a good day) and woodland. 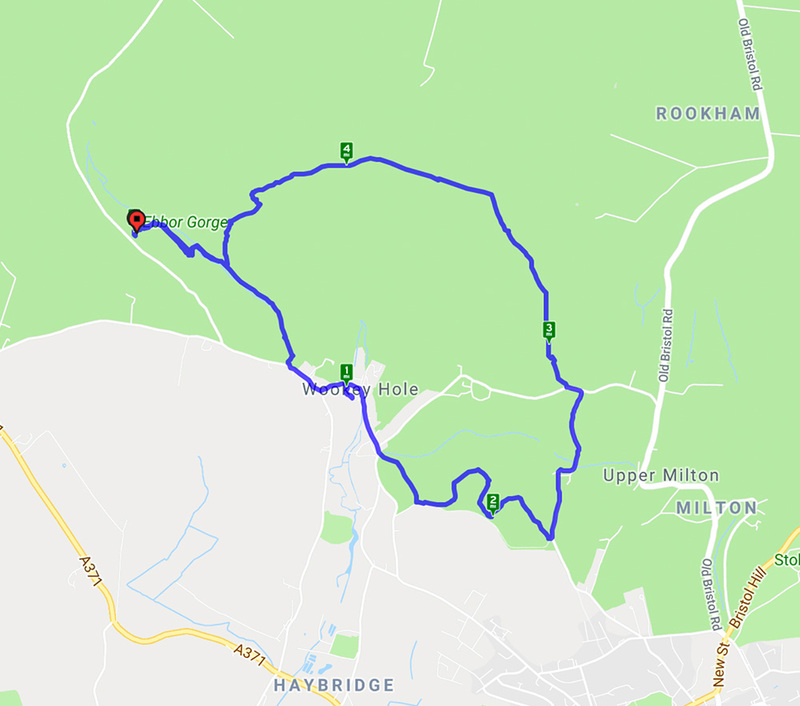 This walk started from Ebbor Gorge car park and went down to the reserve by a steep flight of steps before levelling out for the walk to Wookey Hole village. At the end of the village a path led across fields to Arthur’s Point – good views in all directions. After a stroll through woods another series of hills gave spectacular views across the Somerset levels before returning to the reserve and back to the car park. A lovely spring day with primroses, anemones, bluebells and lambs aplenty. 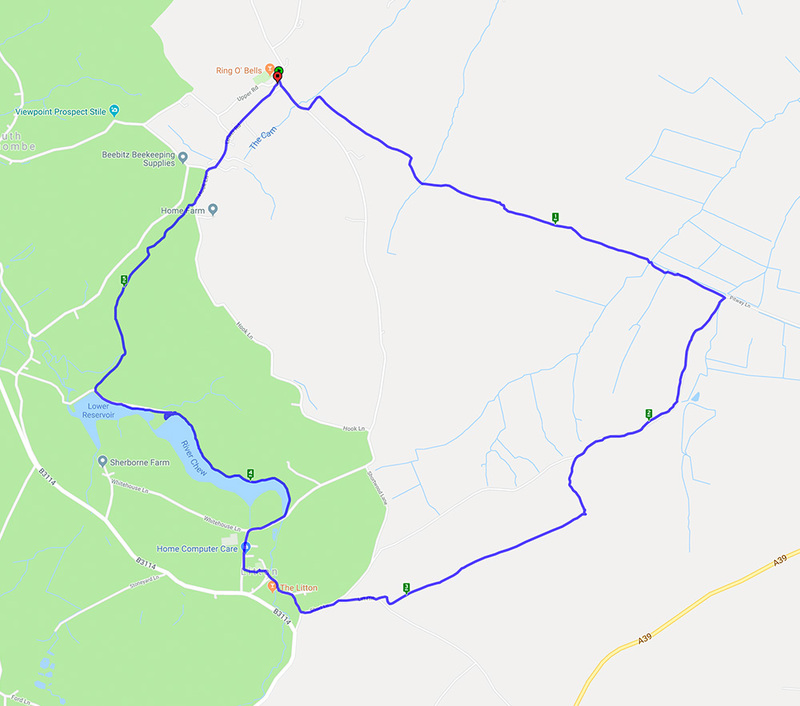 This walk starts in the village of Buckland Dinham then heads into the Somerset countryside through Great Elm and on towards Mells where the hills above the village give good views of the historic manor house and church. 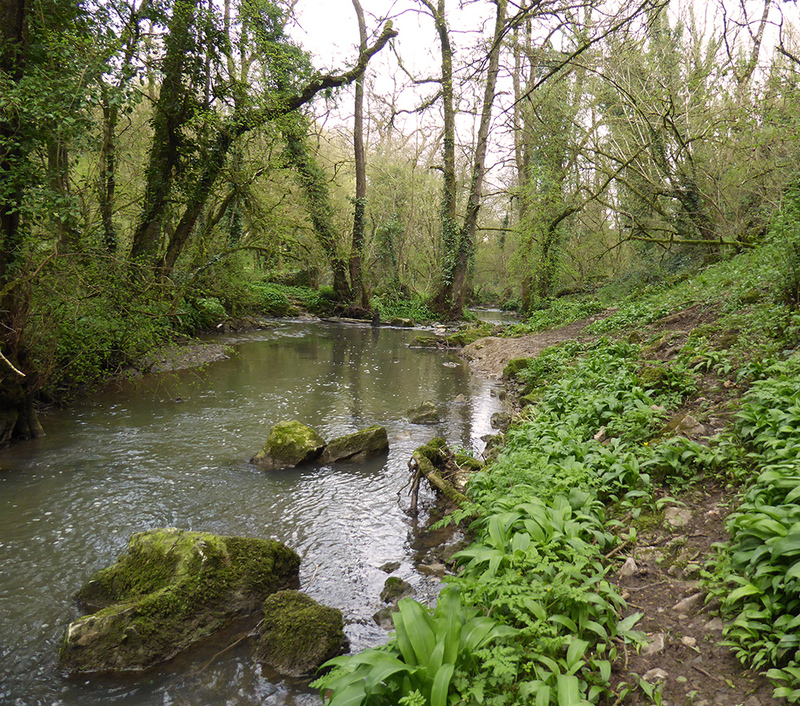 A good variety of walking with open fields and meadows, riverside paths and bridleways thick with mud. 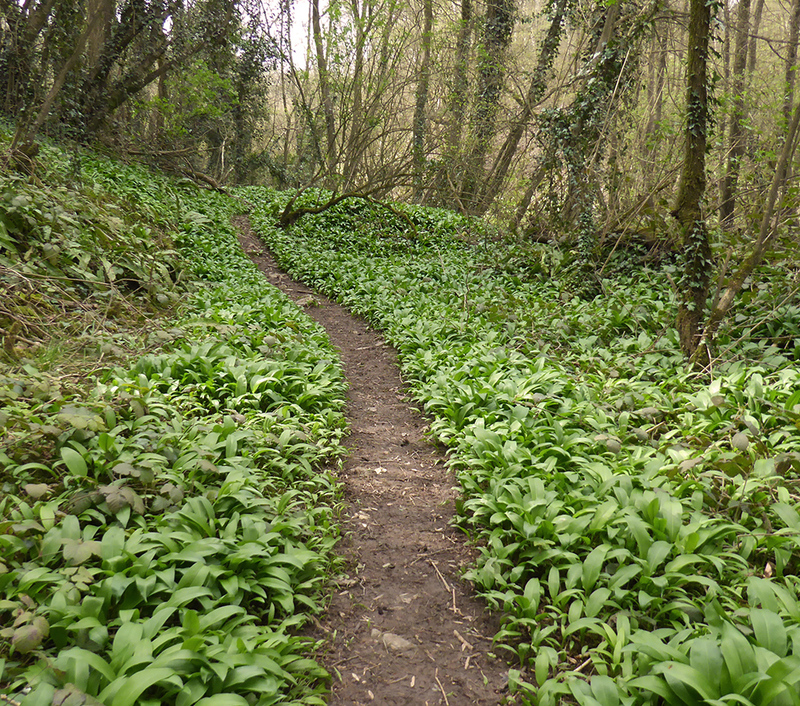 Signs of spring everywhere with snowdrops, daffodils in bud and wild garlic starting to appear. 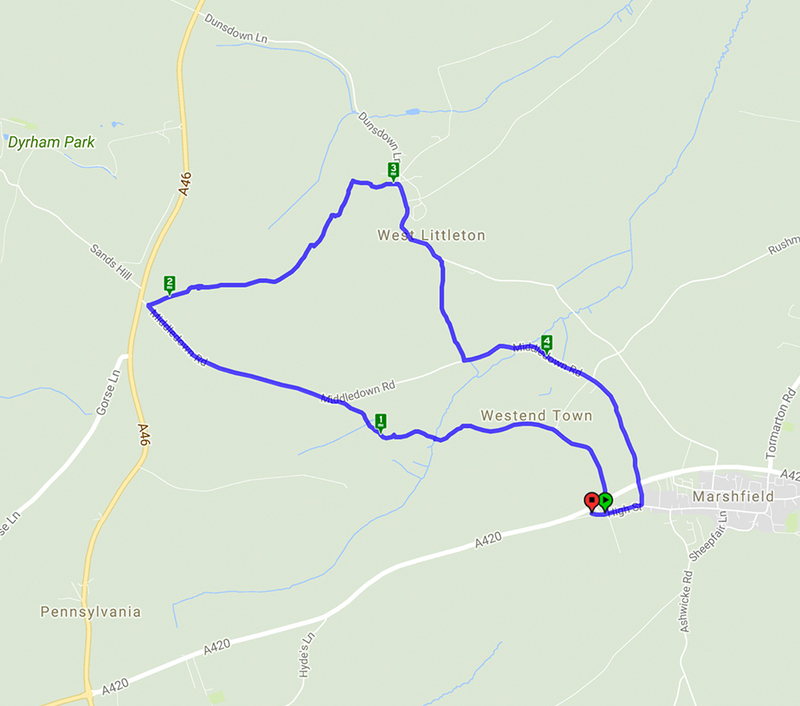 This walk started in the village of Marshfield and after crossing the A420 it followed lanes and footpaths across very muddy fields to reach the village of West Littleton with its very attractive church with a 13th century turret and bellcote. 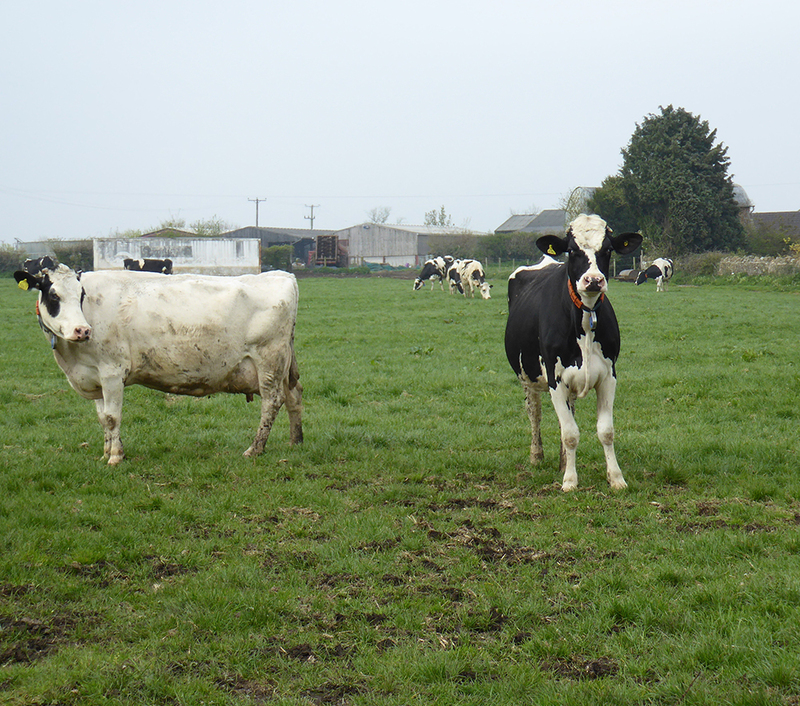 The return to Marshfield passed Castle farm with its turreted farmhouse – very unusual. 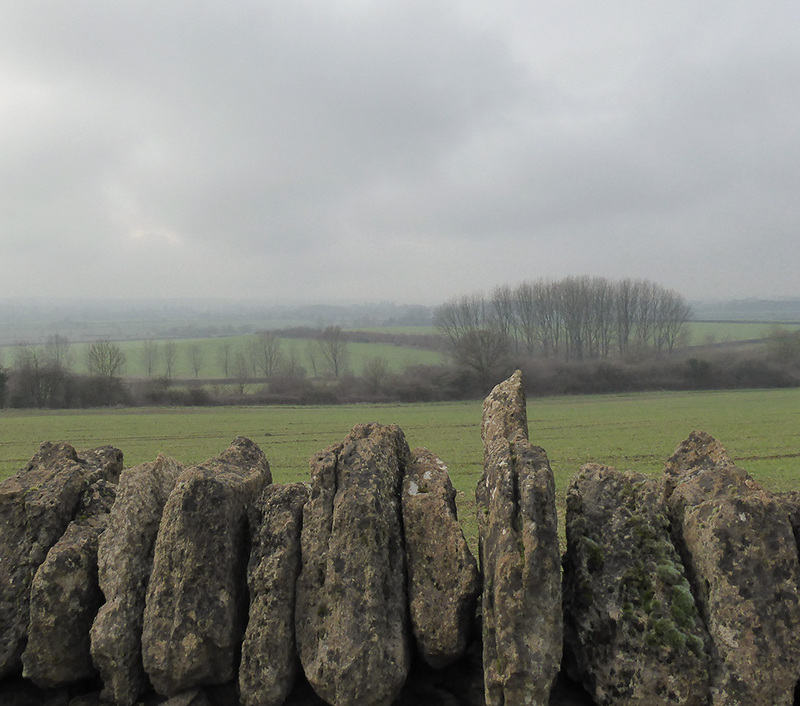 The views over the rolling Cotswold hills were something of a teaser given the mist and low cloud but on a clear day would have been spectacular. A cold but very sunny morning made the ideal conditions for this walk. 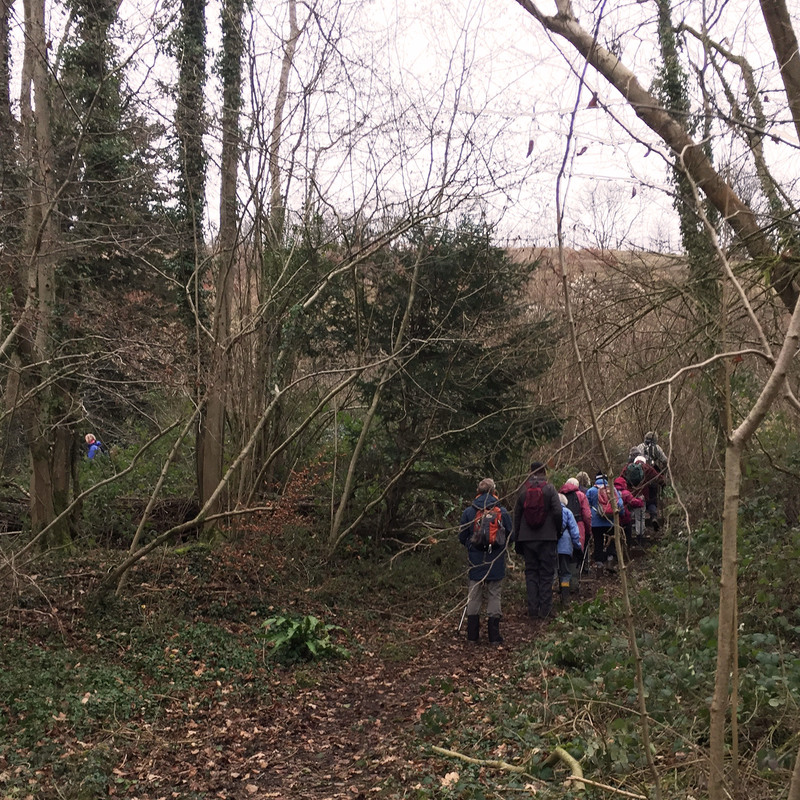 Starting from Bathford, a steep climb led through woods to Browne’s Folly before descending through the reserve and heading back to Bathford. 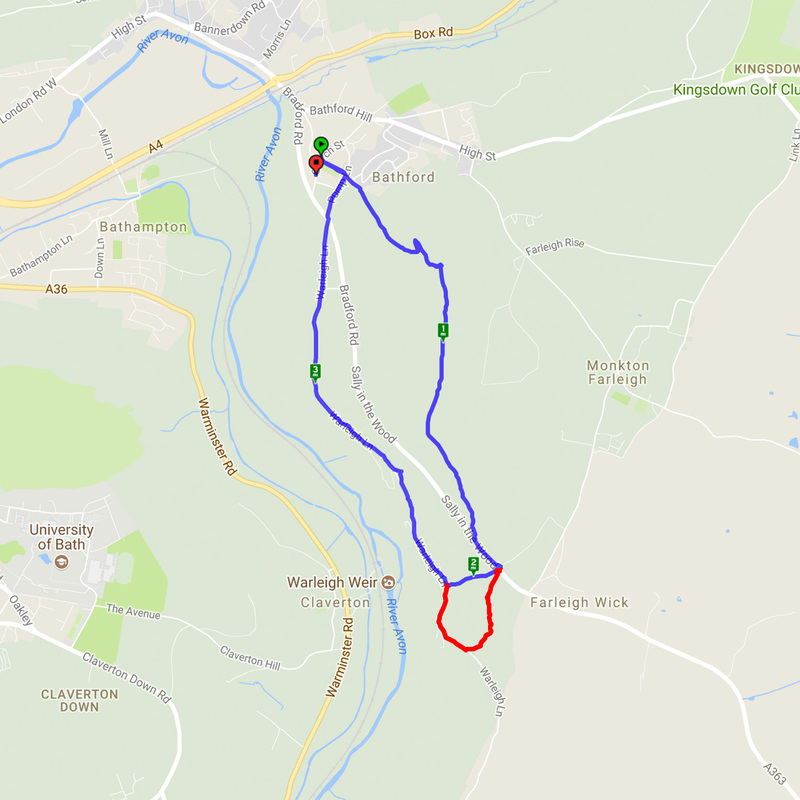 A slight variation in the route from the previous walk here avoided the very muddy bridleway and was a pleasant, shorter path. The clear skies gave excellent views. The map below shows today’s route in blue including the shortcut – the extra red bit is the part of the original route that can be circumvented if the path is particularly muddy. You can see details of the last time we did this walk here.